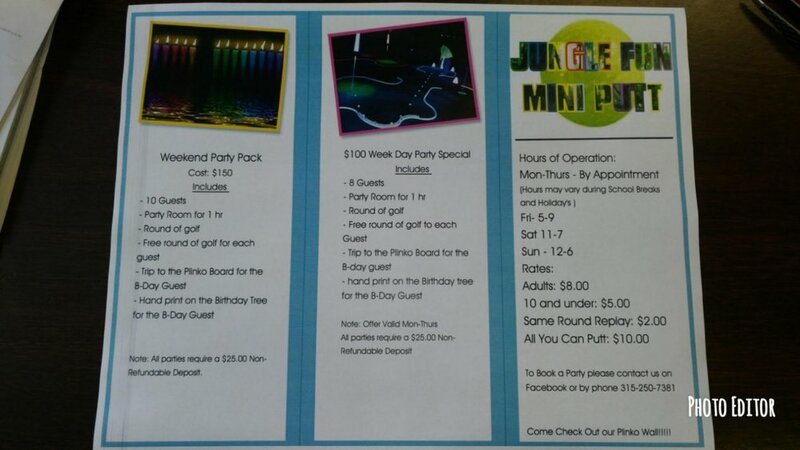 Jungle Fun Mini Putt is the ideal destination for birthday parties or family fun. You can even check out our great birthday deals! Open all weekend long and Monday to Thursday by reservation!